If you’ve read my blog before, you already know that my 2-year-old, Rowdy, is totally into accessorizing. It started with a hat obsession and grew from there. I got this shot in the car the other day as we were about to leave our house to go to the store. 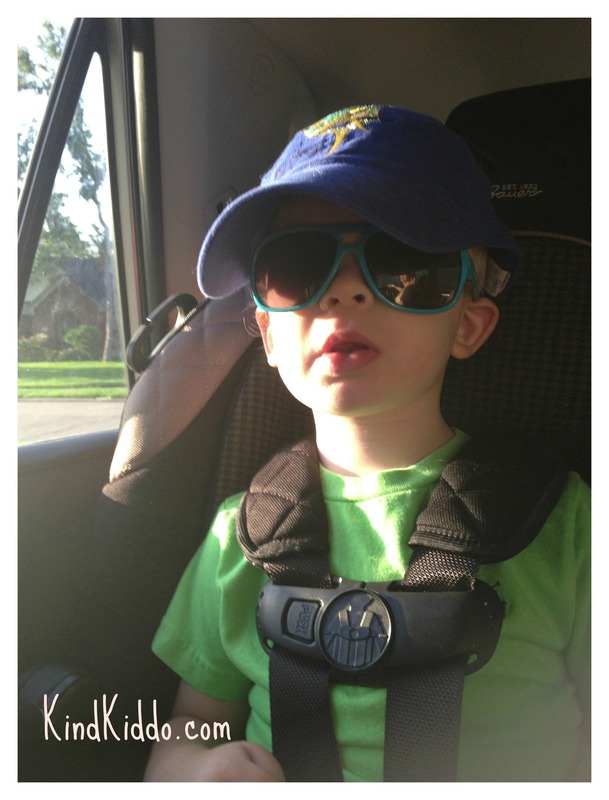 Lately he wants to wear his sunglasses more often, especially in the car. Can’t blame the kid. He sees me wear sunglasses every single time we ride in the car. What’s funny is that he watches his TV most times that we’re in the car and he keeps the sunglasses on while watching. Poor child will eventually find out that it’s better to watch TV without shades on. But for now I’ll just leave it alone because, quite frankly, it’s adorable.